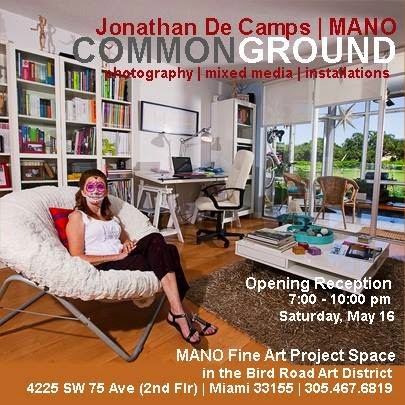 Join MANO Fine Art on Saturday, May 16 for the Opening Reception of COMMON GROUND, a multi media exploration of the immigrant experience featuring work by Miami-based artists Jonathan De Camps and MANO. The opening will take place from 7:00 -10:00 pm during the Bird Road Art Walk on Saturday, May 16. Save the date of Saturday, June 13 for an artists talk with Jonathan DE Camps and and MANO. More details to follow.